The TechCon Call For Proposals is now closed. Acceptance notices will go out before year's end. THANK YOU to everyone who submitted a record-breaking number of session proposals for 2019! Our CFP for the 2020 conference will likely open around Labor Day 2019. 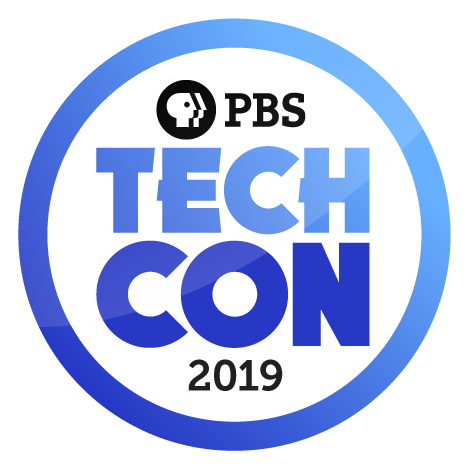 TechCon has a rich, 40-year history as the educational event for anyone in public media who works in technology. Evolving with the industry, the conference brings together Broadcast, Digital, IT, Traffic and Station Management professionals for in-depth and rewarding sessions and discussions. As an attendee, you’re going to learn something here. As a presenter, you’re going to share your knowledge with colleagues from around the system, helping public media to both improve and continue moving forward. TechCon is moving into the future by seeking session proposals that span shifting technologies. This year, the Call For Proposals is being organized to better reflect the ways these technology shifts affect the work we’re doing in public media. TechCon seeks session proposals that cover the entire life cycle of content from Content Development all the way through to Measurement (ratings, analytics). TechCon sessions also address technology concerns even beyond content and distribution, so additional tracks are listed to fully cover the scope of sessions typically presented at TechCon. Before proposing your session, please review the Tracks for TechCon 2019 below. You will only be able to select ONE track from the list below. Note that italicized entries #1-8 below represent the life cycle of content. You will also be asked to select “Topics” which equate to “Platforms.” The question we’re asking is: "Which platform(s) does your proposal most apply to?" Select all Topics that apply, or select “not applicable” if your session is not directly related to any of these specific platforms (at least one answer will be required). 1) We are using a CFP system called Ex Ordo to track incoming proposals. It refers to your proposal as an "Abstract," and anyone submitting one is labeled an "Author” or “Co-Author." 2) Ex Ordo will require you to register and create a username/password combo. Once you do that, you can submit as many proposals as you wish until the October 26 deadline, and you can revise up until the deadline. If you previously submitted a proposal for this event, your email/password combo remains the same, and you can retrieve your password at the login prompt if needed. 3) By default, the submitter of an abstract is initially labeled both the "Corresponding Author" and the "Presenting Author." If you are submitting on behalf of someone else (e.g. a supervisor or PR client), please mark yourself as "Corresponding Author" and add your presenter as "Presenting Author." This will ensure you both receive any correspondence regarding the abstract proposal. WHAT IS A COMBINED SESSION? We receive more submissions each year than we can accept, so the TechCon planning committee often looks for sessions of a similar theme that can be combined. This provides an opportunity for more people to share their knowledge on a topic, and it gives the audience an even richer experience with the subject matter. The Agenda Team may seek to combine proposals to provide a very in-depth look at the topics at hand across a range of experiences.